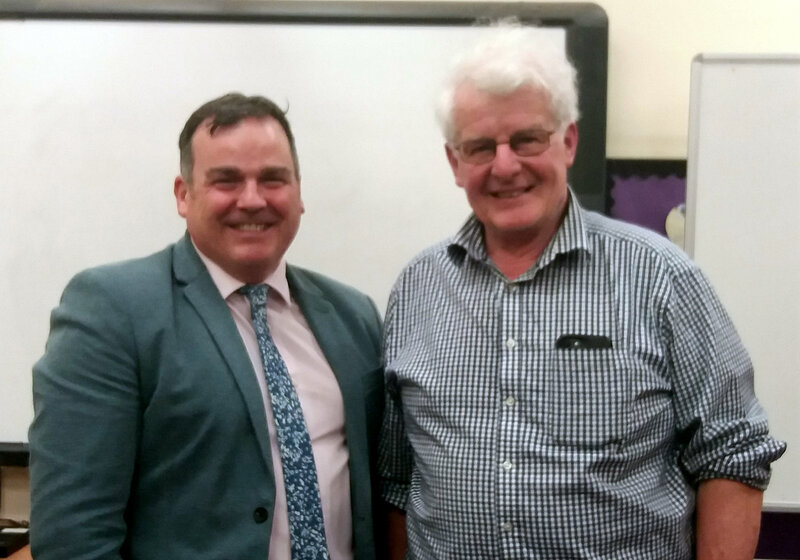 Renfrewshire Council Leader Iain Nicolson was in Bishopton yesterday (Wednesday 2 May) as he embarks on a series of visits to community councils. Topics for discussion with Bishopton Community Council included the development of Dargavel Village, investment in the roads and transport infrastructure and improvements to the local environment. Landowner BAE Systems is transforming the former Royal Ordnance Factory site into Dargavel Village, with 850 homes already occupied. 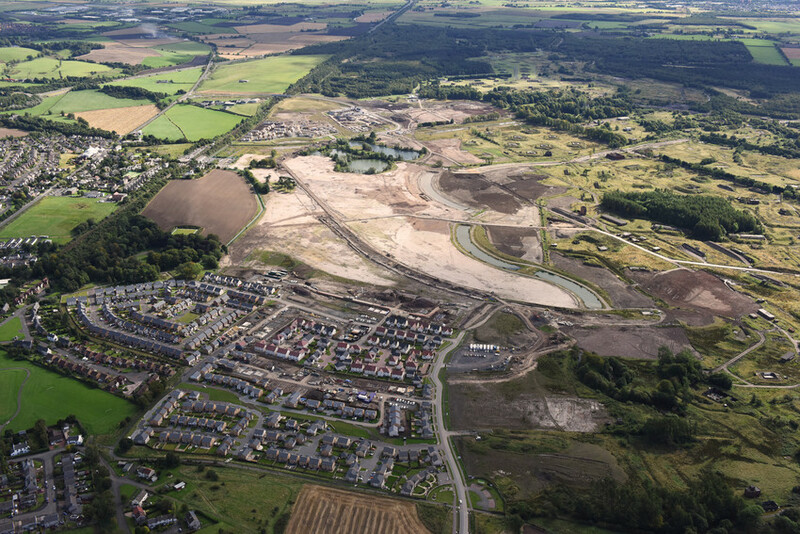 The project also includes a new M8 motorway junction to enhance Bishopton’s connectivity to the wider region, with the first phase completed on schedule last year and expected to open in early 2020. Bishopton Community Development Trust now own Holmpark recreation ground, with plans to create a sport and leisure hub for the village. And an additional 150 parking spaces have been created in the first phase of new park and ride facilities at the train station, alongside traffic management and environmental enhancements at Station Road and Birch Road. Councillor Nicolson said: “I would like to thank Bishopton Community Council for their warm welcome and for giving me the opportunity to hear first-hand about the issues that matter most to them. “There was a very lively and engaging discussion about all things Bishopton as it should be. What is happening with regards to the Dargavel development has major implications for the village in a number of areas and we recognise that it is vital that there is the supporting social and physical infrastructure underpinning this. “Since we were elected last year we have been listening to what our communities are telling us and it came over again loud and clear last night how passionate and proud people are of their own neighbourhoods. During the meeting, Councillor Nicolson outlined his budget priorities, which include the biggest single year investment of £7.2million towards improving Renfrewshire’s roads network and footpaths. A further £2.5million will further enhance the cleanliness of towns and villages and £1million will help improve cemetery grounds. There is also a new £1.5million Community Empowerment Fund to support the transfer of facilities into community ownership and a village investment fund for community-led projects which can attract match funding. “Every investment in our budget has been carefully considered, every pound spent to achieve the greatest impact,” added Councillor Nicolson. “We want to support the most vulnerable in our communities and balance everyday needs with longer term investment. “We want to build strong, safe and resilient communities and have invested in our green spaces and given more money to clean up our towns and villages. “Our budget investments add to significant funding towards housing in Renfrewshire and in improving our local schools to provide the best possible learning environment. Further community council visits are planned to Ralston in May and to Kilbarchan and Paisley North in June, before a visit to Lochwinnoch later in the year.